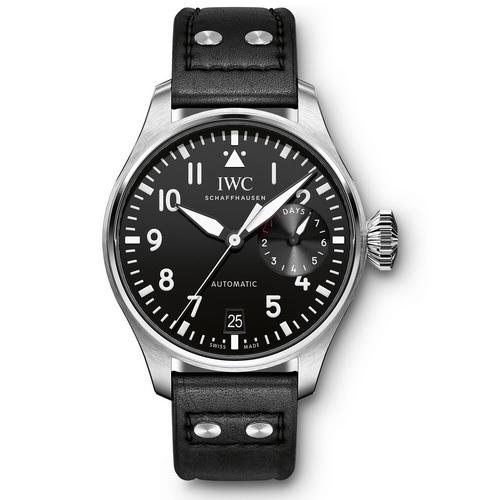 The largest IWC-manufactured calibre builds up the energy for over seven days’ power reserve in virtually no time. The movement stops after 168 hours, ensuring the same precision throughout the entire time it is actually running. The 46-millimetre stainless-steel case encloses a soft-iron cage that protects the movement against extreme magnetic fields. *IWC Schaffhausen is not the owner of the Glucydur® trademark.